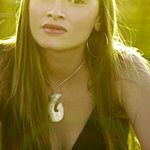 Maisey Rika is a Maori singer/songwriter making waves in the New Zealand music industry. She has released 2 albums both charting in NZTOP40 and gaining critical acclaim. Google trends for "Maisey Rika"
We don't have any videos related to Maisey Rika.